Glycerine-based liquid leather soap for intense leather cleaning. 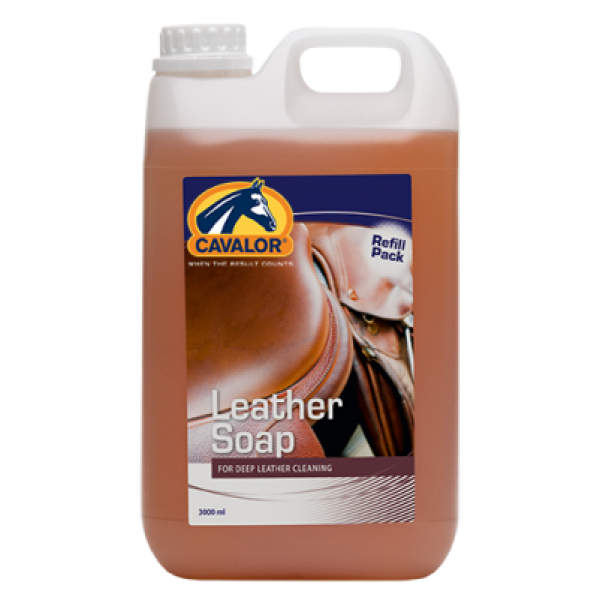 Cavalor Leather Soap nourishes and makes the leather supple without loss of strength. Put Cavalor Leather soap on a damp sponge and rub the leather with a cloth or soft brush, making the leather shine and removing possible white soap residue. First remove any dirt. Then apply Cavalor Leather Soap with a damp sponge/cloth on the leather and rub it in. After drying, polish the leather with a dry cloth or a soft brush, making the leather shine and removing any soap residue.